EEVblog checks out KiCAD « Adafruit Industries – Makers, hackers, artists, designers and engineers! EEVblog checks out KiCAD (video 1 and video 2). 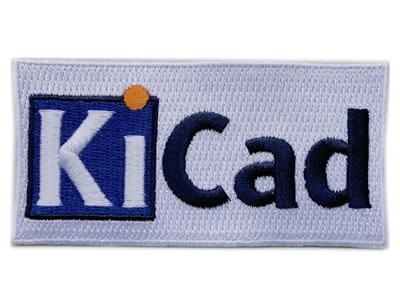 KiCad skill badge. You’re learning to design electronics using the open-source KiCad EDA suite of tools! The KiCad EDA Suite project aims at creating a portable, cross-platform, Free/Libre/Open-Source EDA Suite. That is capable of schematic and printed circuit board design. The code is licensed under the terms of the GNU GPL. Badge created with permission by the KiCad team. KiCad is an open source software suite for electronic design automation (EDA). It facilitates the design of schematics for electronic circuits and their conversion to PCBs (printed circuit board) design. KiCad was developed by Jean-Pierre Charras, and features an integrated environment for schematic capture and PCB layout design. Tools exist within the package to create a bill of materials, artwork and Gerber files, and 3D views of the PCB and its components. Visit KiCad.